If you have no idea what RSS, XML and syndication are, this summary is for you! Are you confused about what XML, RSS, Web Syndication, and Web Feeds are? Take a few minutes to read the definitions from Wikipedia on XML, RSS, Web Syndication and Web Feeds since that is a good place to start. In a nutshell RSS (Really Simple Syndication) is used to syndicate or subscribe to the feed of a website, blog and media content of all types. Through syndication you no longer have to actually go to visit the website or blog in order to read the latest. Instead, feed reading software allows you to read the latest articles from one place—usually through an aggregator or feed reader. Syndication is an efficient way to access the content you find interesting. XML is the formatting language that software and websites use to distribute the content to your feed reader. You don’t really need to know much about XML just that it is the language behind syndication. I currently use Google Reader to access all my favorite blogs because it ties into the other services I use online by Google. However, there are other feed reading software programs and a Google search for RSS reader brings up many options. Stand alone software feed readers must be installed on the computer you use in order to access to your favorite feeds. This can be limiting and so this is why many people use a web based feed reader. Bloglines is one of the more popular readers and is similar to feed reading software except it is entirely based on the Internet. I use Google Reader so I can access my favorite syndicated feeds online from any computer connected to the web. At the top right corner you will see an orange RSS link button. To subscribe to the Blessing of the Animals feed just click on the button, copy and paste that link into your feed reading software or your web based reader like Google Reader. Sometimes you might have to name the feed. 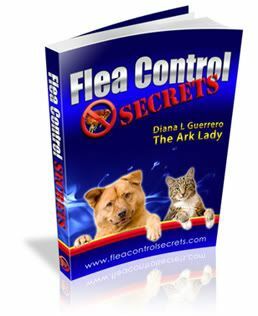 This feed is named, “Blessing of the Animals.” The RSS feed link for this site is actually http://feeds.feedburner.com/arkanimalanswers and if you click the link, you will see the XML output of this blog. You don’t really need to know much about this but feel free to click the link and have a look. I use a special service called FeedBurner because it adds extra features to my feed output and also tells me how many people subscribe to this blog. Just so you know, all blogs will have a link from which you can subscribe. The names can very and so you might find it called Atom, RSS, or Syndicate–they all do the same thing. The names vary because there are different standards to create web syndication services. RSS is designed to make your Internet life easier. Don’t be nervous about it if you are new to the system. Become familiar with this technology because if you can stay on top of technology it will save you time and confusion later on. Thanks for your interest in the Ark Animal Answers!